Donâ€™t fear the rooster! 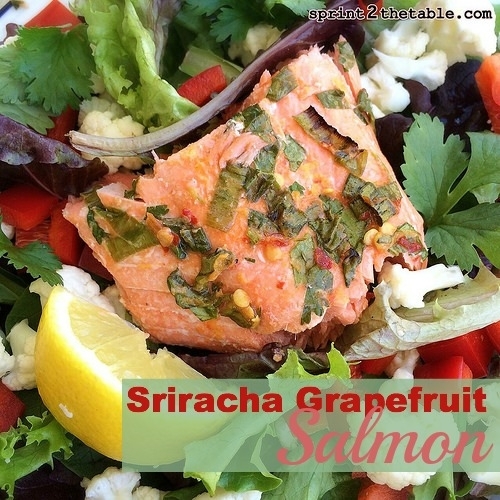 The sweet, tangy grapefruit and the heat of sriracha were incredible together. Place salmon in a glass baking dish. In a small bowl, whisk together sriracha, grapefruit zest, and juice. Stir in cilantro and scallions. Taste and add sweetener, as needed. Pour marinade over salmon and allow to marinate 30 mins in the fridge. Remove from oven, spoon run off marinade over the top. Allow to rest 5-10 mins before portioning and serving.